Grab your Tropical Shirt, favorite lei and come to the Club for BYC’s newest tradition, Hawaiian Night Wednesdays. Last week we did a test run of Monica’s “Hawaiian Cheeseburgers” and they were delicious!! Beef burger, grilled pineapple and sweet onions, all bathed in teriyaki sauce!!! So, starting now through the summer, we’ll be serving them up every Wednesday. We’re still working on drink specials, a Hawaiian pulled pork sandwich and something for the vegan. Stay Tuned! Long time BYC and Wheel and Keel Member, Bud Peth, passed away in March. Bud was an avid boater, father, grandfather, great-grandfather, and former prisoner of war of World War II. The BYC Club Scrubs are the most poignant example of our all-volunteer club where the entire membership helps out. 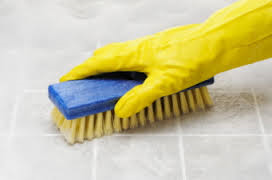 From 8 AM to 2 PM on Saturday, April 25th, we’ll scrub the clubhouse top to bottom, organize shelves and toss out old junk, as well as do various repairs and touch ups. If you’re able to offer specific trade skills (painting, deep cleaning, pressure washing, carpeting, carpentry, etc), please contact Building & Maintenance Chair, Gary Smith at gary4230@comcast.net. Complementary Pizza and Beverages will be provided. Get working on your boat designs for the Opening Day Parade! Wow! More than 35 self-proclaimed "dummies" came out of the woodwork last Wednesday to hear Scott McEniry's Battery Management presentation, "How to Idiot-Proof Your Battery System". It was great to see so many seasoned boaters in the crowd along with those of us very much "at sea" when it comes to the mysteries of all things electrical. We received a lot of positive feedback on the presentation, and, by request, we will try to do more on this next year. Thank you, Scott, for an interesting and informative discussion! Please join us at 7 pm on Wed April 15 for the Education Committee's last planned presentation for this year, Disaster Planning in the Northwest and How the Local Boating Community Can Help. (link to flyer). Kent Catlin from the Sheriff's Office Department of Emergency Management, and our friend, Bob Jacobson, Coordinator of the County's Community Emergency Response Team, will fill us in on what's happening, who's in charge, and how we might help. This presentation will be of interest to all members, not just boat owners. Hope to see you all there. T hanks to the Olsons who cooked 116 burgers and brats and Ken Larsen for working the bar last Friday. It was a great event and our guests from AYC had a great time! Stay tuned this week for another Steak Nite coming Friday the 10th. You can reserve your dinners at the website; there is a sign up form there. Sign up by Thursday eve at 6 to ensure your steak is ready and waiting for the grill. WED: Hawaiian style burgers and brats with teriyaki sauce, grilled pineapple slices, sweet onions and more! THUR: Monica’s Mexican with carne aside and those tasty bean burritos! FRI: Steak Nite! Reserve your dinner online at the website by Thursday at 6 PM to ensure availability. There’s usually extra for latecomers, but when they’re gone, they’re gone! SAT: Come on down and visit with friends and friends-to-be! April 24 will be our BSF Youth Fleet silent auction. If you would like to help us run another successful auction and can cook, clean, collect auction items, or run the till please contact me. We raised over $7000 last year, it went to repair an RIB. Our learn to sail fees only cover the cost of staffing, so all repairs and replacements must be covered by fund raising. The auction is our best opportunity to raise the funds and give our members a great deal on items from local businesses; if you are connected with a business that might have a product or service that could be sold, please let me know. Thank you. The BYC is excited and proud to be hosting two important regattas this summer that will raise funds to help find cures for Blood and Breast Cancers. The beginning of the summer regatta will be held on June 6, 2015 to benefit the Leukemia and Lymphoma Society. The end of the summer regatta will be held on August 30, 2015 to benefit the Breast Cancer Research Foundation. Both regattas will provide excellent opportunities for sailors from around the region to come together and fight cancer while having a blast on the water and in our Clubhouse. All members are encouraged to recruit friends and colleagues, to raise funds and to participate in the many fun filled activities during both regattas! Please contact Jim Gibson or Neil Bennett for details about how you and your friends can get involved. Please join us for our cruise to Anacortes Cap Sante Marina on April 17. The Anacortes Yacht Club will be hosting us for a get-together at their club Friday night with pulled pork sandwiches and hamburgers. On Saturday you can enjoy the day exploring Anacortes, hiking, or kayaking then come to the party barge at the marina Saturday night for a delicious ham dinner following by strawberry shortcake. Please go to the BYC website at http://cruising.byc.org/ to sign up. We will be making a group reservation with Cap Sante marina using info. from your reservation form. If you have questions, please contact Vickie Olson at olsonvj@aol.com. Please register for this cruise on the BYC website. Click here for the flyer! It was quite the turnout at Fridays’ @ 5 where Cruise Fleet Chairs, Vicky and Chris Olson, along with Chef Monica, grilled up over 100 free burgers and brats for the visiting Anacortes Cruise Fleet and BYC Members. AYC Commodore, Jerry Reilly and Board Member, Steve Hayes got on the microphone and offered nothing but great compliments to the BYC Membership! Thanks everyone for being great stewards and hosts of our Bellingham Boating Community. The “Animal House” Opening Day Planning has started. Register for the Parade and get a spot at the BYC Guest Dock raft up at BYC.org. If you’re interested in helping turn the club into a Frat House, please contact me jon@latitude48north.com or 360-303-5465. Thanks to all those members and businesses so far who have already donated items to the BYC Youth Sailing Auction Dinner on April 24th: Larry & Shari Jones – 42” TV; Pam Heward – Hand Painting; Joan Bartlett – Fish Pottery; Mike Reese - Redden Marine Merchandise; Skip Anderson - Flagship Maritime Captains Course; Jan Anderson – Marine Photo; Prime Massage – 90 min. massage; Silver Reef Casino – Steak House Dinner for 2; Mike Powell Photography – 5 Hour Photo Lesson; Gear Aid – Outdoor Equipment Repair Kit; Wayne & Trudy Kelso – Folding Bike; Jonathan & Ann Knowles – iPad Mini; West Marine Bellingham – Merchandise. And the list is still growing. Don’t forget this 2nd Friday of the month is Filet Mignon Steak Night. Reserve your steak ahead at the BYC.org web site. No one correctly identified last week's photo of a very frozen Sea Cliff Yacht Club, Hempstead Harbor, Long Island Sound. Thanks to Gayle Ackerly for the photo. This week's scene might be more recognizable. If you know the location, send your answer to drsteveross@gmail.com. We can help with just about anything. Give us a call and we'll line up the right contractor for your job.